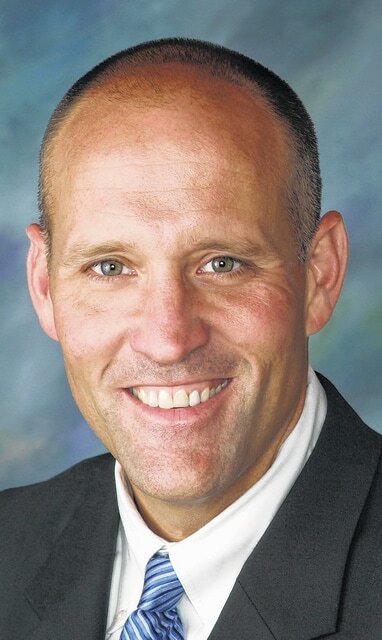 The new superintendent of Olentangy Local Schools said that, like his predecessor, he wants to leave the district better than when he found it. On Thursday, the school board approved a three-year contract for Raiff, beginning Aug. 1. The vote was 4-1, with Roger Barth, David King, Kevin O’Brien and Julie Wagner-Feasel voting “yes,” and Adam White voting “no.” Raiff said his salary will be $160,000 per year. Outgoing Superintendent Wade Lucas will leave at the end of August, offering a month of transition for Raiff. He said he would continue two initiatives begun by Lucas: Using technology to improve the district’s instructional program, and expanding a countywide drug task force. As for challenges, Raiff said that in the short term, he needs to replace some departing members of the administration; and open school smoothly. In the long term, the district’s 19,000 population may continue to grow; and the district may need to on the ballot before his contract ends. Raiff, 50, was picked out of 12 applicants for the job by the school board following two interviews. He is the first internal applicant to be named superintendent in the district. A 12-year veteran of the district, Raiff has been principal and assistant principal at Olentangy High School, chief academic officer of the district, and served on the finance and cost-efficiency committees. Raiff has also worked in the Bexley and Westerville school districts. He lives in Galena, and has three children who graduated from OHS, and a daughter who is a junior there. Raiff said he believes leadership is a relationship. “In order to be successful as a leader, you have to develop trusting and caring relationships,” he said.